It’s 5.30am on Friday morning and my alarm goes off. After ignoring it for 30 minutes it hit me… It was the day of Comic Con. I jumped out of bed and put on my cosplay, which took roughly an hour including plastering on the face paint. Once we were ready, we embarked on one of the longest and strangest journey’s of my life. Rush hour on the train with 5 suitcases and an awkard cosplay item was… interesting. After the long journey I felt exhausted already. My brother, best friend and I carried an extortionate amount of luggage across London to the Excel Centre and straight to our hotel where we were promptly told check-in wasn’t until 2pm… We arrived at 9 (brilliant). Luckily, the kind man at the hotel allowed us to store our bags and pool noodles (yes, I said pool noodles) in their luggage room. Once we had rid of our belonging we made the extremely short trip into the Con and collected our fancy weekend wristbands… hooray! 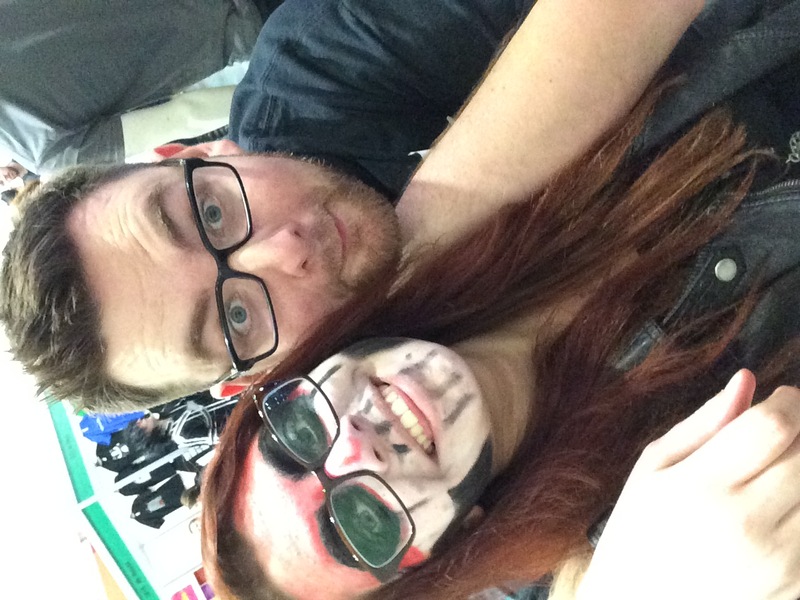 After collecting our wristbands we saw a couple of people we had met at other conventions and went to say hello. 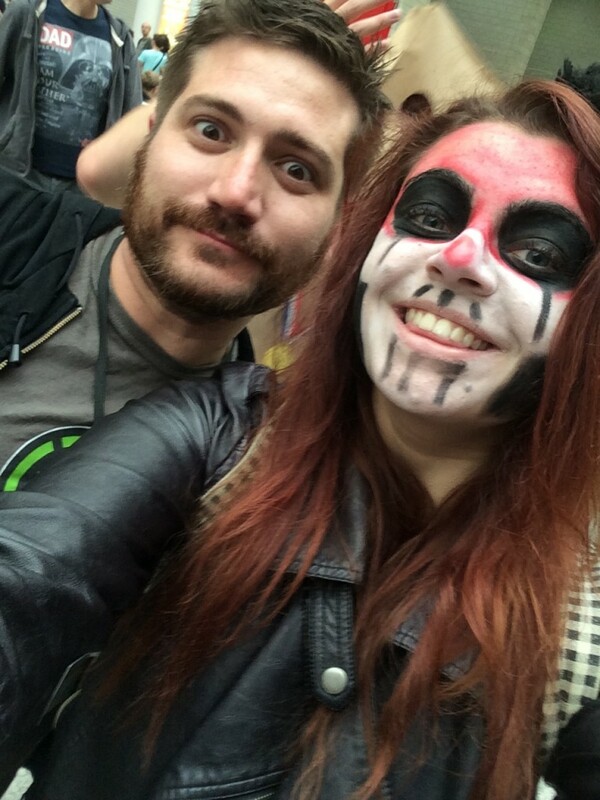 This is when my friend and I noticed that Adam Kovic of FunHaus (Rooster Teeth) was among the group. 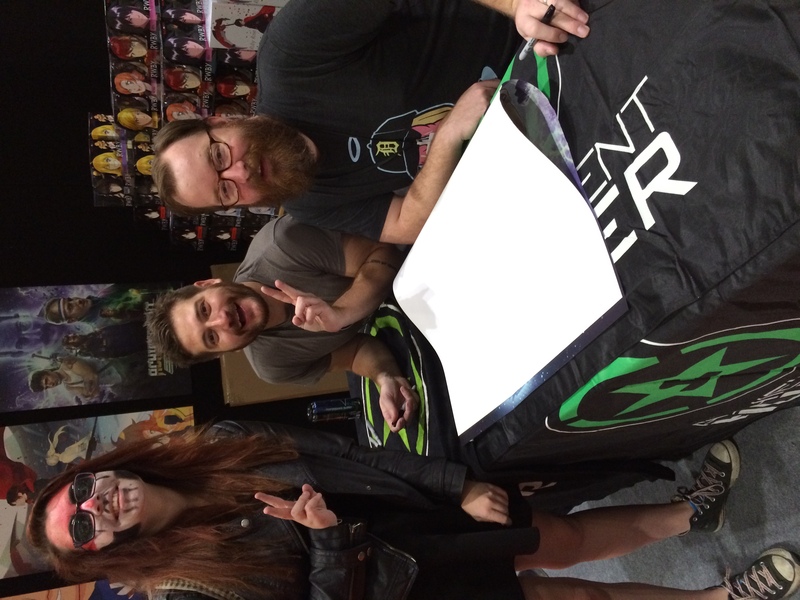 My friend and I were particularly excited to meet Adam Kovic and Jack Pattillo of Rooster Teeth and so the fact that we had met Adam before the convention had even opened the main doors was quite exciting. After looking at that photo, you can understand why my train journey was interesting. Adam then had to shoot off to his booth so we said our goodbyes and patiently waited for the shutters to the main halls to open. 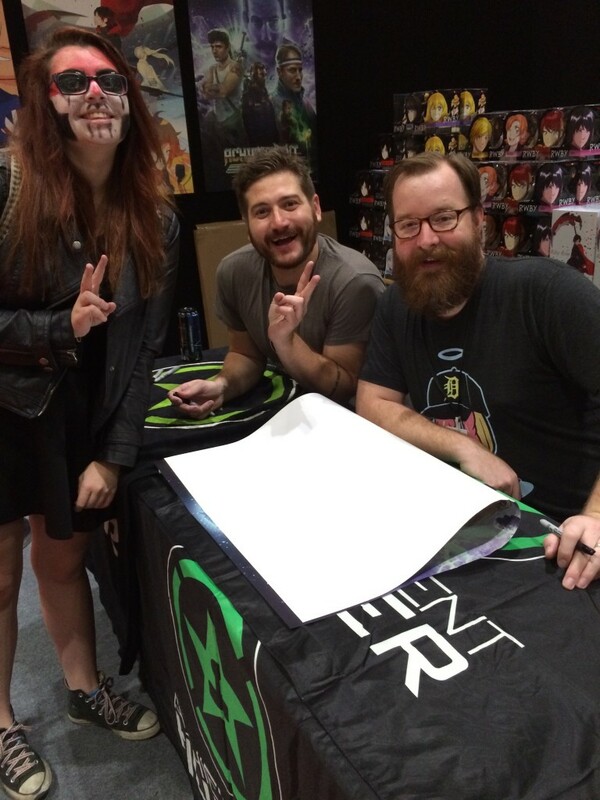 Once opened, my best friend and I briskly walked straight to the Rooster Teeth booth to splurge our money and get a photo with Adam and Jack. 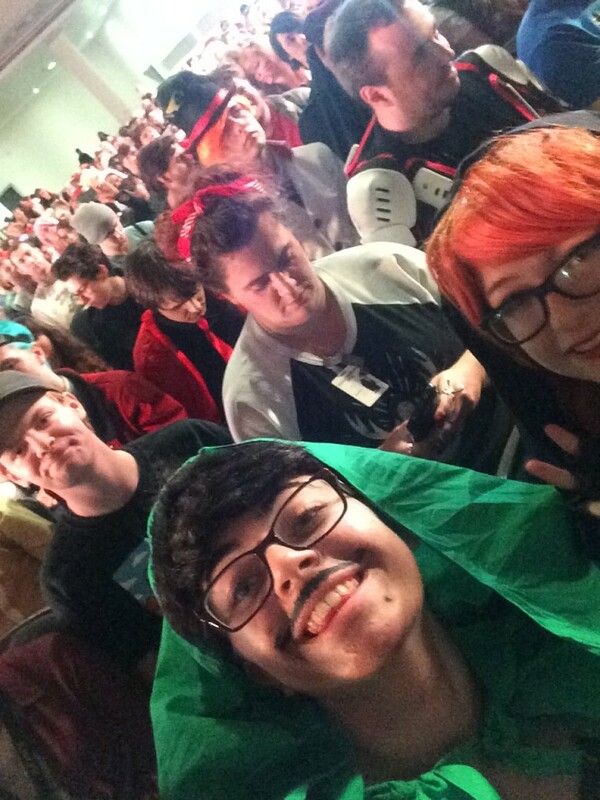 Once at the Rooster Teeth booth, we had to wait roughly 20 minutes until we got to the front and could buy the merch we wanted. After buying a post, a t-shirt and two slap bands, we were able to meet Jack and Adam. They kindly signed my newly bought poster and posed for a photo with me. 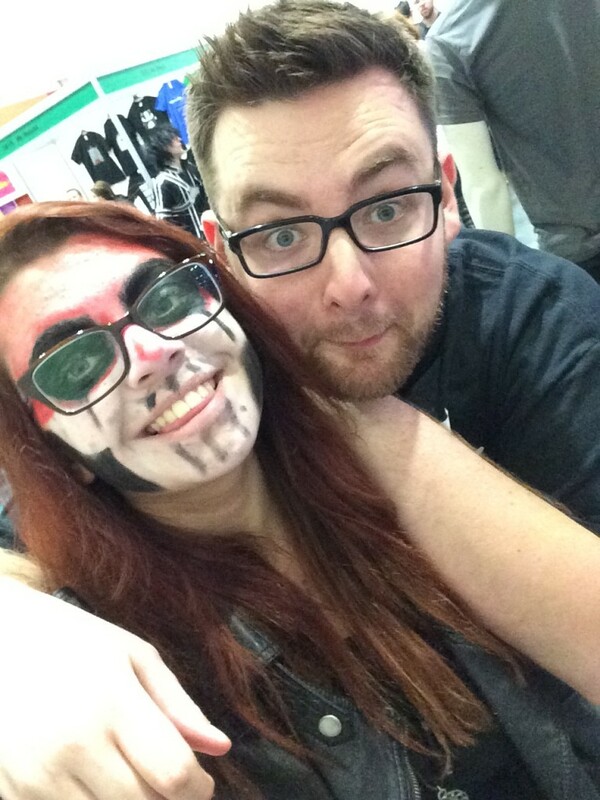 After buying everything we wanted we went to the other hall where all the YouTube themed booths were, and we noticed the queue to meet Tomska was extremely short, so we took this opportunity to jump in the queue and meet him for the hundredth time. We then remembered we hadn’t eaten anything all day so we headed over to the Subway conveniently inside the Excel centre. Big mistake – it was extremely expensive but worth it due to how hungry we were. 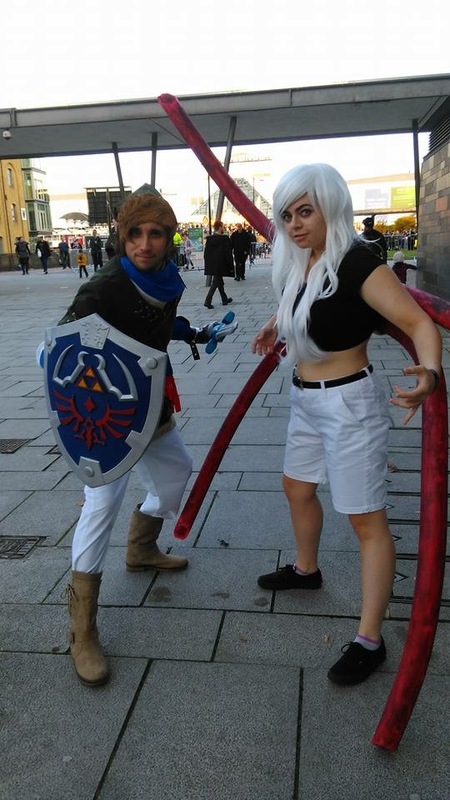 Once we had eaten, my best friend and I headed out around the back of the Excel centre to attend the Rooster Teeth Community meet up, as we were cosplaying Rooster Teeth characters. 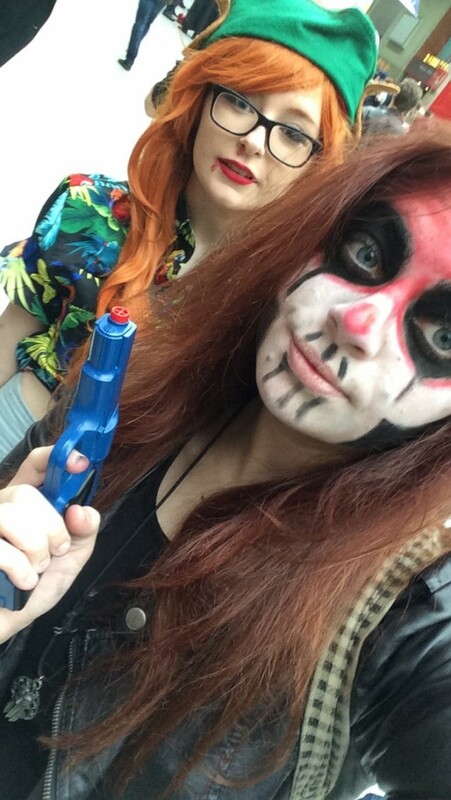 I was cosplaying Ryan’s GTA character, and my friend was cosplaying Jack’s GTA character. 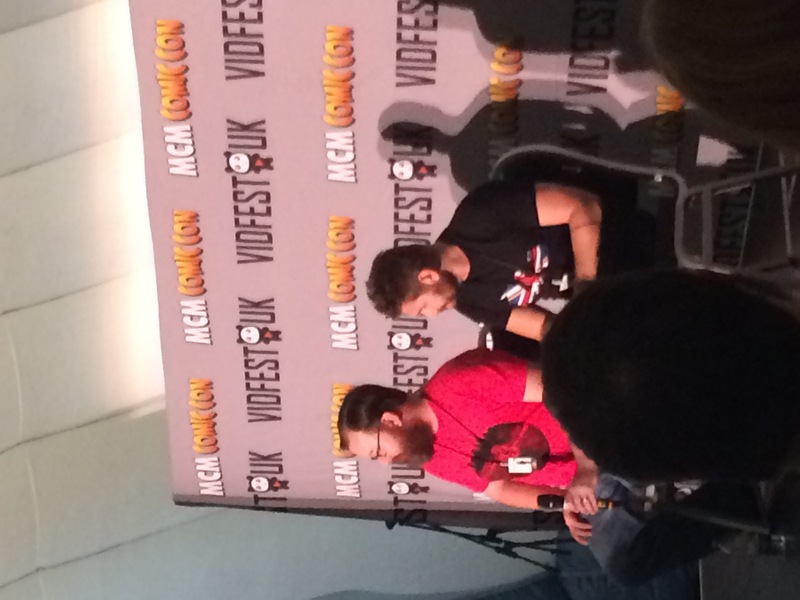 The photos from the meet up have unfortunately not been released yet. After the meetup it was getting quite cold so I phoned up my friend Adam, who makes Cosplay Music Videos. 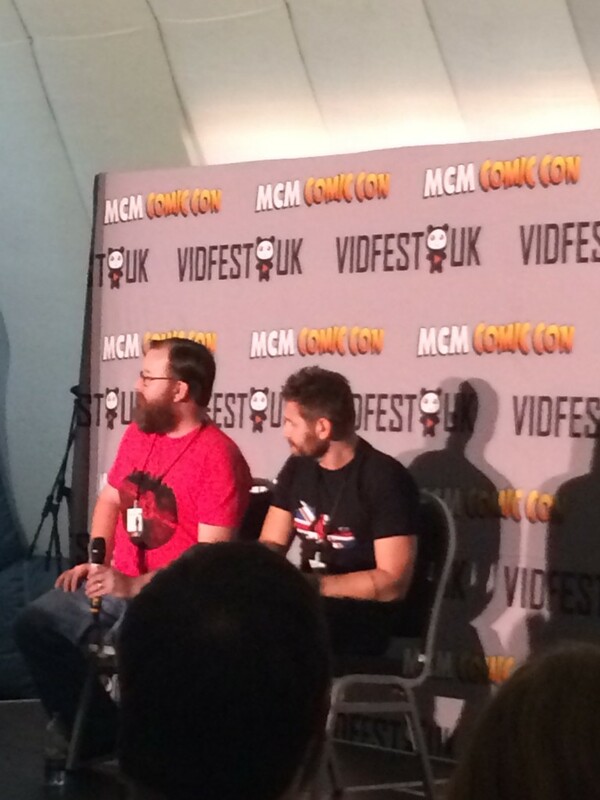 Adam had previously asked me to be in his video and so we phoned him and asked where he was. We then trekked back around to the front entrance of the Excel centre where we found him and filmed a part of his video. My friend and I then went back to our hotel checked in, got our keys, got washed and changed, and headed back out to enjoy our first night of Comic Con. After eating dinner we decided we were too tired to go to the bar and decided to call it a night. Its 2am. We’re all asleep when suddenly a loud noise pierces our ears. My friend turns to me and tiredly asks “why have they made the doorbell the same noise as the fire alarm?” The noise stopped. No one could be bothered to get out of bed and get the door. The moment I thought I was falling asleep, the noise rung once more. Frustration hit me. “Who’s at our door at this time?” The noise didn’t stop. I turned on the light and looked up. 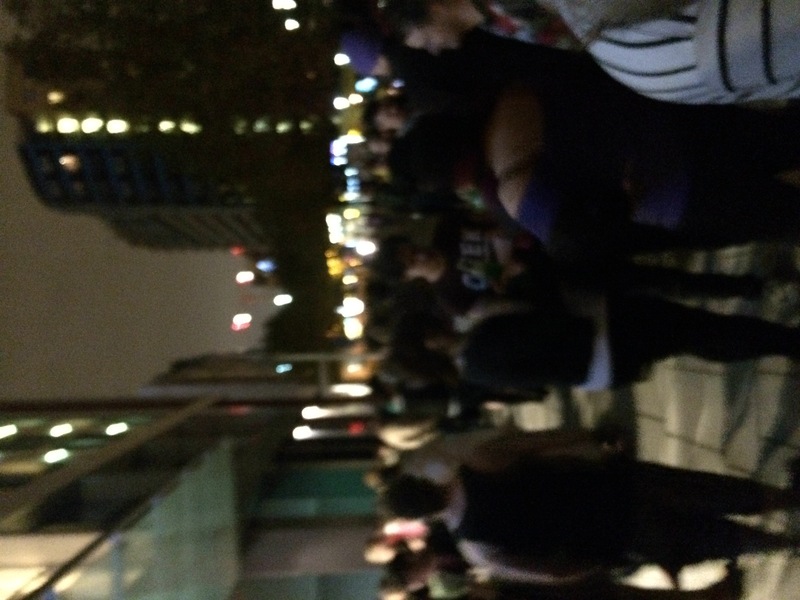 The fire alarm was flashing. It hit me. “Guys… I think that’s the fire alarm.” My brother bolted upright. “Sophie wake up there’s a fire.” “I don’t care,” she stated. “Dude get up we have to go.” After rushing around to find a pair of shoes, we found ourselves outside at 2.05am in the freezing cold in our pajamas. We were out there for what felt like hours. 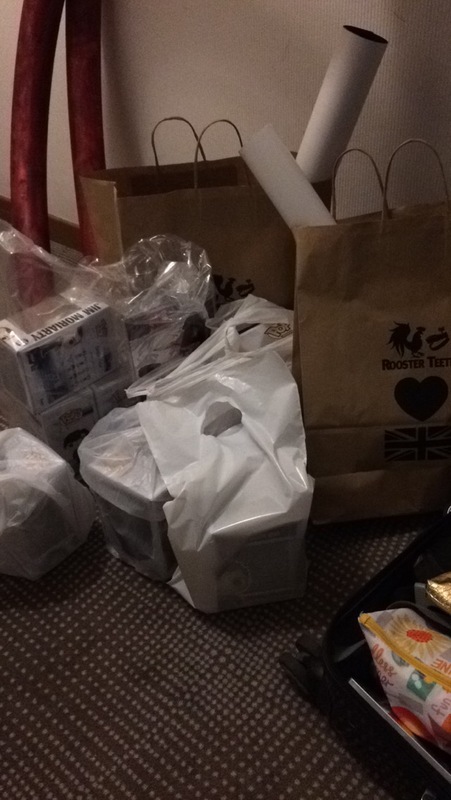 The next day we were unbelievably glad our package in the hotel included breakfast. After breakfast, we went back up to the room and got into our cosplays. My armour then promptly broke and we had to spent about 30 minutes industrial gluing it back together. We then headed out for day 2 of London MCM Comic Con. 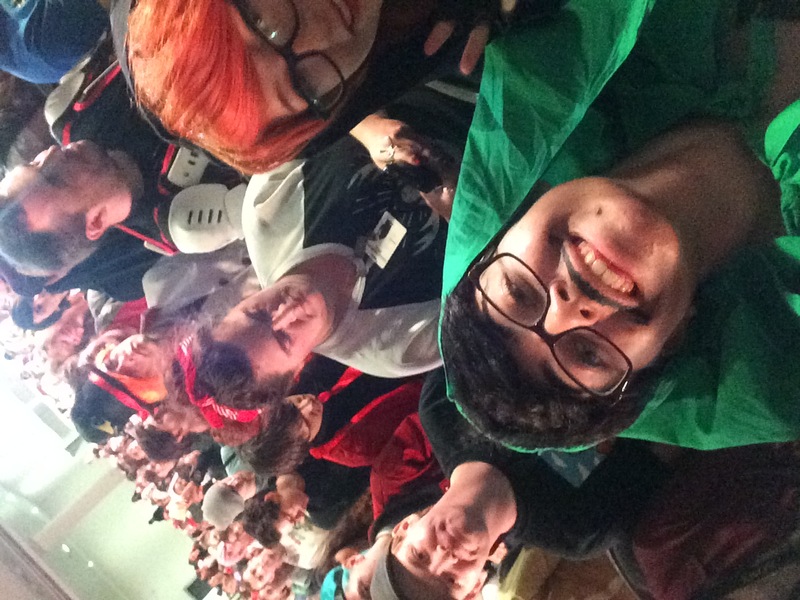 After walking around for a while, we headed to the Rooster Teeth panel, where we bumped into several of our friends. 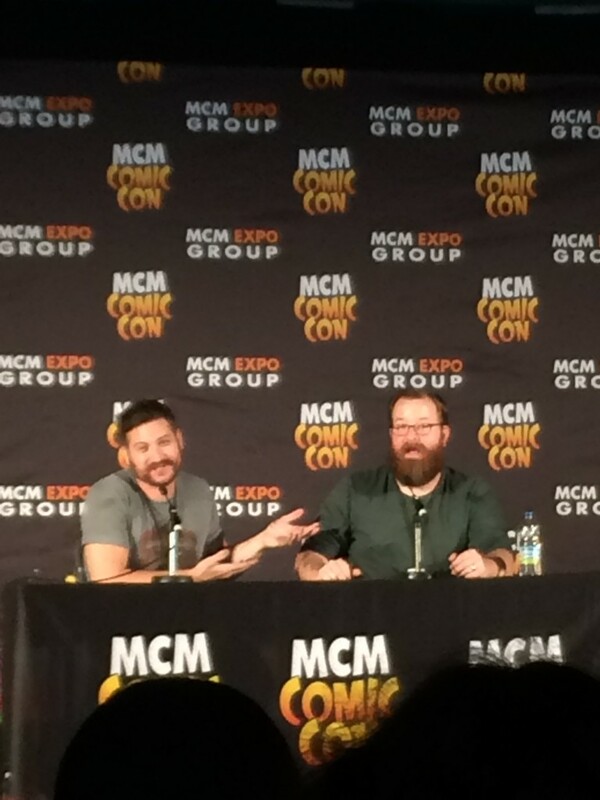 The panel was hilarious. 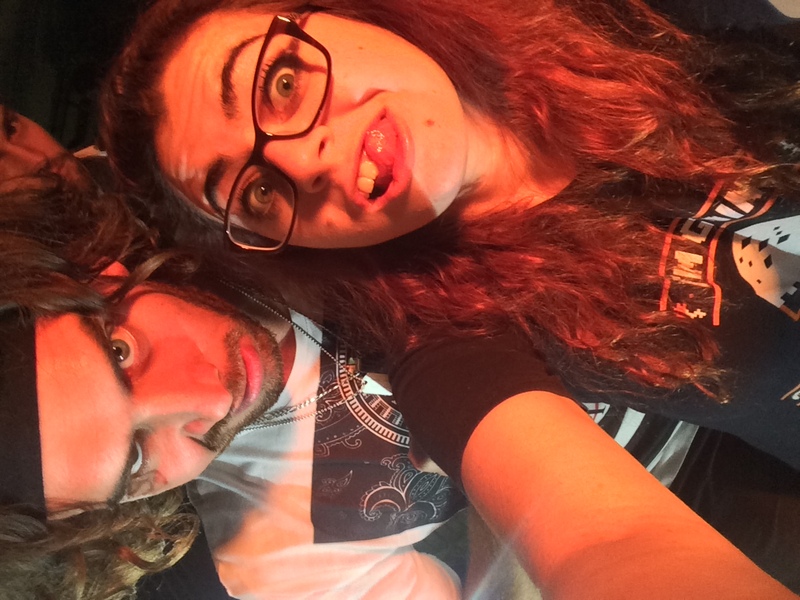 My friend and I ended up crying with laughter and it was probably the highlight of the entire weekend. For anyone who was at the panel, I’m still laughing over scrobbles. After the panel, it was time again for another Rooster Teeth meet up, which was luckily inside as it was raining outside. 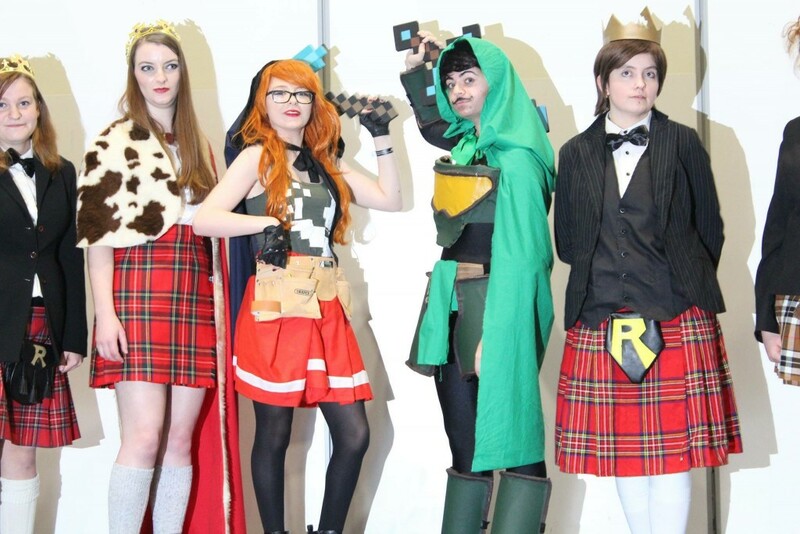 The meet up was incredibly busy, but myself and my friend felt super proud as we were the only Minecraft Geoff and Jack cosplayers in the whole of the convention, of which we had both built ourselves from scratch. Most of the photographs from this meet up have also not been released yet, but luckily we have received some of them. After the meet up, my friend and I returned outside to find it still raining, so we headed back to the hotel room to wash and change and rest for an hour before heading back out for our second, but first, night at Comic Con. We grabbed some food and some extra cash and headed to the Fox, which is the bar near the Excel centre, for the MCM party. After heading back to the hotel a few hours later, I soon found myself back outside after hearing that someone had thrown themselves into the river at 2am. He’s okay but it was quite the drama filled night. Come 2.30am, it was time to get some sleep. The next day hit us like a ton of brick. The hangover was real. After a sickening breakfast we headed back up to the room to get into our cosplays and head out for the third and final day of Con. 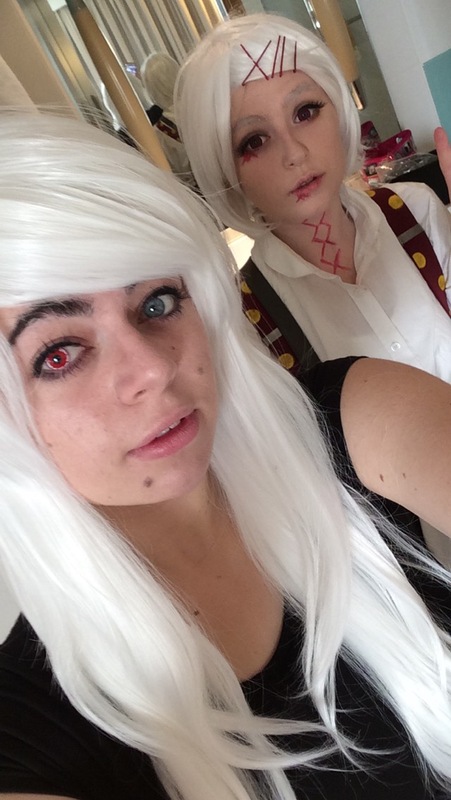 I was cosplaying a fem version of Kaneki and my friend was cosplaying Suzuya, both of which are from the anime Tokyo Ghoul. This is where the pool noodles come into the story. I had them attached to my back all day and was annoying everyone (on purpose) by slapping them and saying “oops sorry I can’t control them…” I totally could control them. 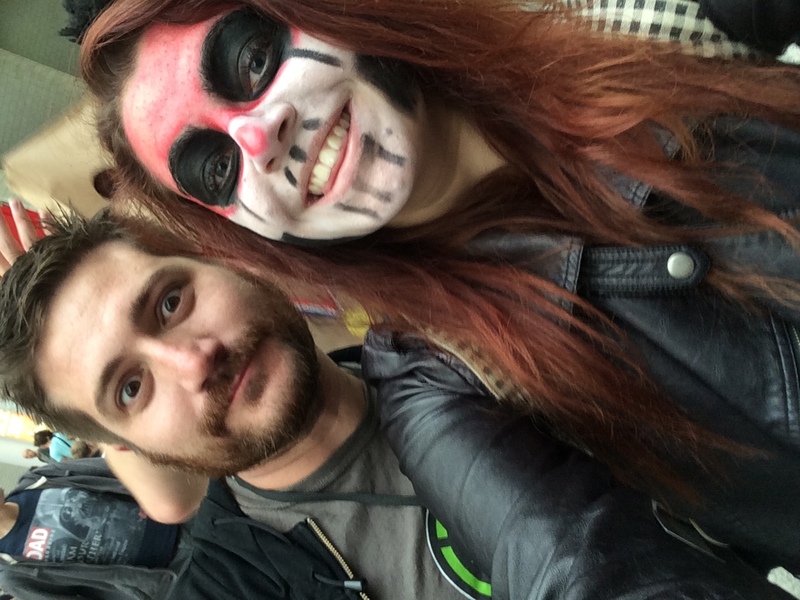 We walked around the con for a bit and then headed to the Tokyo Ghoul meet up. 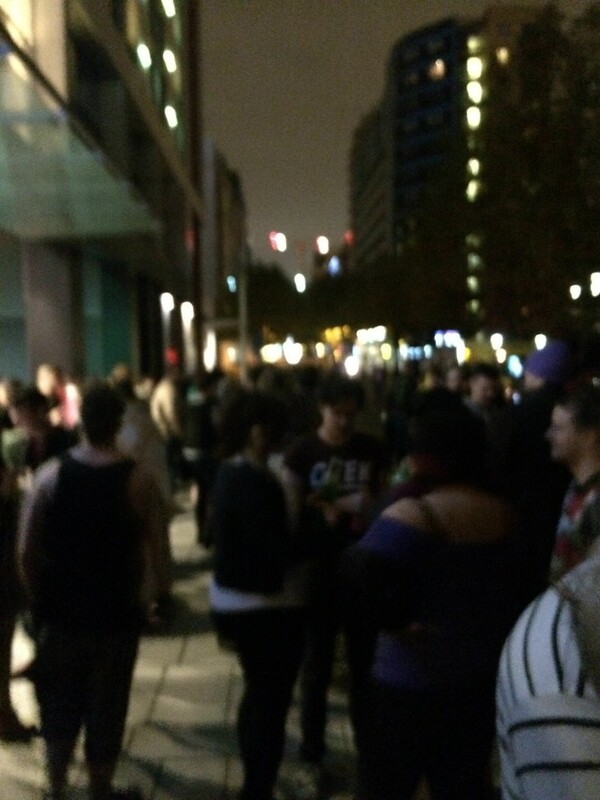 We couldn’t find the meet and so we walked around outside, met up with a few friends and just chilled. 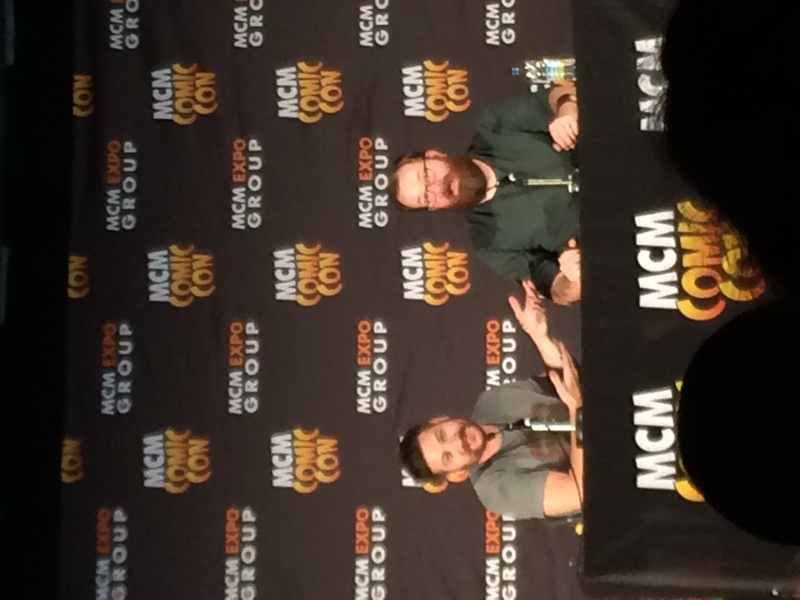 We then headed back inside for the shorter Q&A with Jack and Adam from Rooster Teeth, where this time, I was actually handed the microphone and was able to ask them my question. We then headed back outside for our final video shoot with Adam, got that done, got a few more photos with people and then headed back to the hotel room to change out of you cosplays, wash and get ready for our final night at expo. As you can see, I was pretty cold. The final night was the best. We spent almost the whole night at the Fox, and it was amazing. 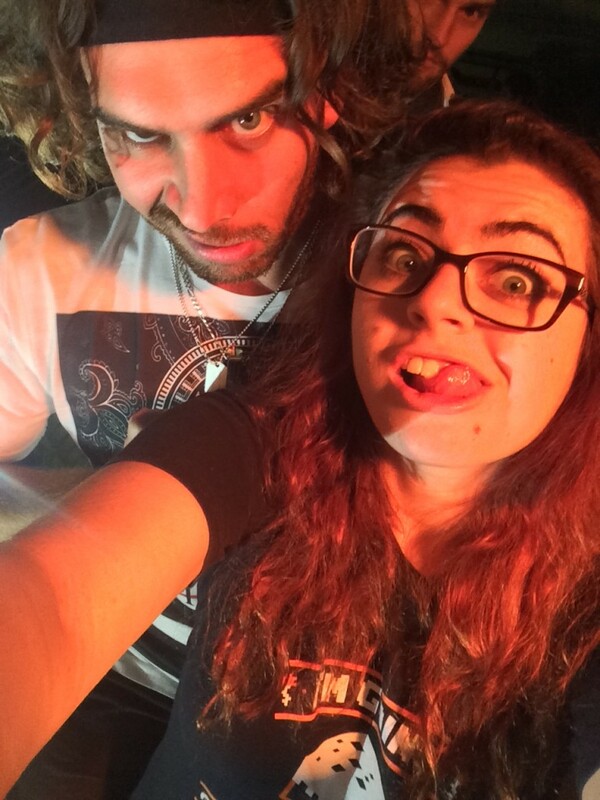 I spent the majority of the night with my friend and Adam (the music video guy) and his brother Matt. It was hilarious. After a bit of dancing we went to sit down and rest when our friend came over to us and informed us that Stuggy, the viner, was outside. We rushed outside to meet him and get a photo. Stuggy was such a lovely guy. We sat outside with him for about half an hour just talking and laughing and chilling. He totally made our night. We then left to charge our phone in the hotel after heading back out to finish off our final night. 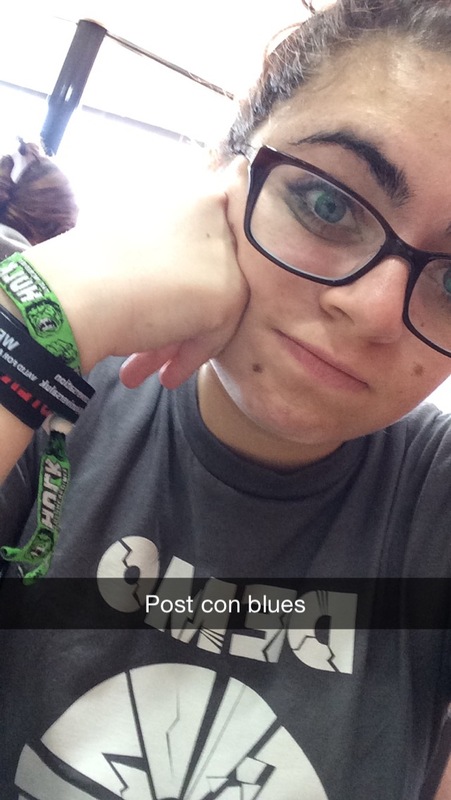 The next day it hit us, not just the hangover, but also the fact that con was over. Sadness washed over us, and now I still miss expo. I guess I just have to wait until May. 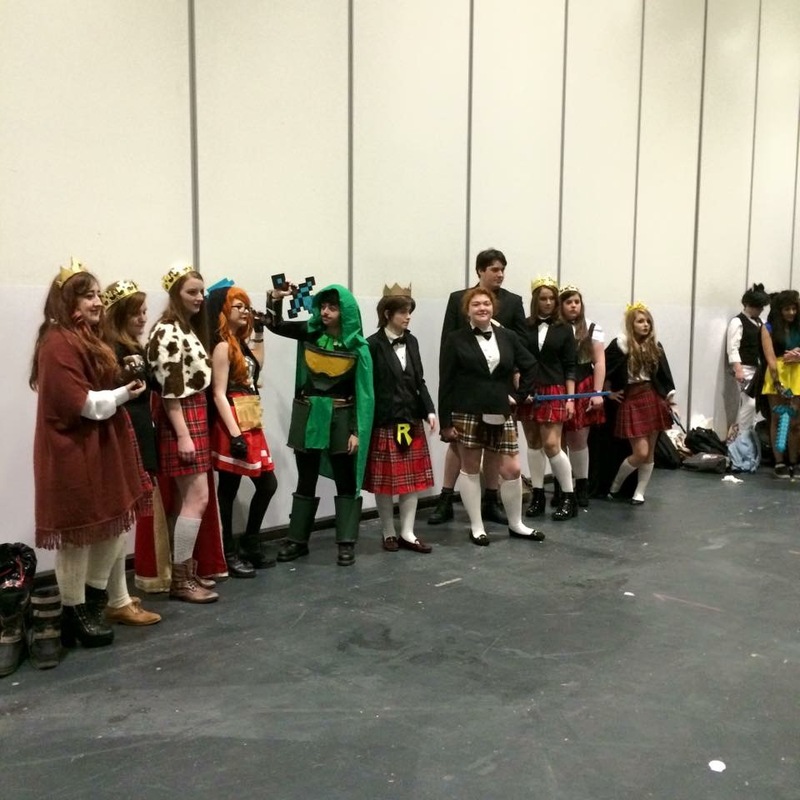 I have loads of photos from London MCM Comic Con and I’m not sure about you, but I wanted them all printed out and plastered on my bedroom wall. This is one weekend I don’t want to forget. Want to cherish those expo memories? Need ink or toner cartridges so you can print out those photos? Well here at Ink n Toner UK, we’ve got your back. We’re dedicated to providing you with the ink and toner products you need for the most affordable price. 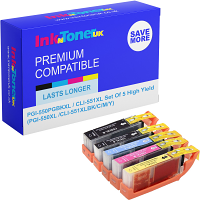 Click here for ink cartridges, and click here for toner cartridges.